Invoice history based on 123 reviews. 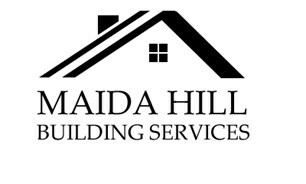 Maida Hill Building Services, is one of the leading construction and maintenance companies in London with years of experience in offering ‘all-inclusive’ building and maintenance packages to suit all types of budgets and styles. We undertake maintenance and renovations. We offer tailor made solutions and offer honest and professional advise to our customers. We pride ourselves with quality of workmanship, reliability and professionalism throughout from start to finish. Maida Hill Building Services is a one-stop shop where you get all your housing requirements under one roof, we have a good name which has been built on our timely completion and handing over of completed projects. Our local team of engineers, specialists and highly experienced constructors offer ‘state of art’ building equipments to ensure timely completion of projects. Our scope of work includes the complete range starting from, design and drawing and approval by the city council, construction and handing over. Our design takes into account the latest development in building construction standards and adhere to the latest building standards and regulations. Maida Hill Building Services incorporate the latest in interior designs, lighting, types of floors and highest energy rated fittings. Our design philosophy includes the latest concepts in ‘green urban homes of tomorrow’ and environmentally friendly materials without compromising the overall elegance and beauty of a project. Our interior design concepts takes advantage of the natural lighting, airflow, shading of the house etc, that keeps the house warm during winter and cool in summer. We also include rainwater harvesting, grey water storage and utilizing for gardening etc. Maida Hill Building Services do all the hard work for you starting from site selection, site works, service connections, higher star energy ratings, and council requirements. We provide estimates with all the specifications and costs upfront so there are no hidden surprises. Visit our gallery of the latest completed projects and our sale consultants will explain some of the specifications and techniques used in these projects. Our friendly staff of Maida Hill Building Services will be with you every step of the way from the selection of a project, contract signing, financial approval, finalising interiors and finishing and construction.